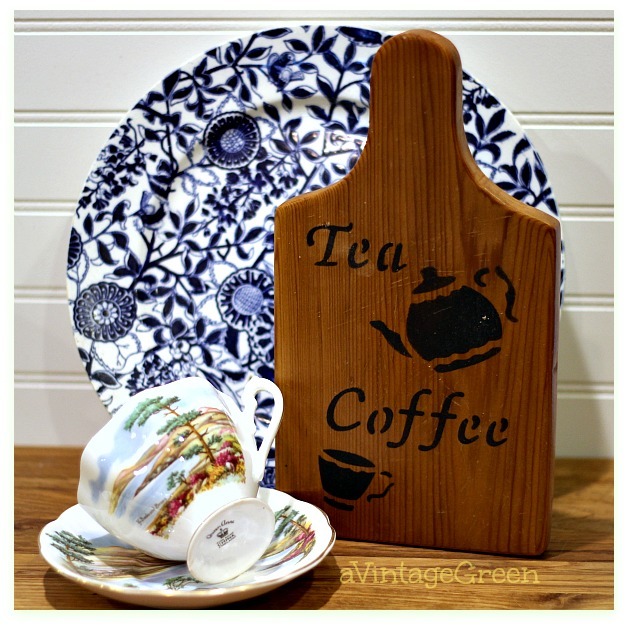 Stencilled Tea and Coffee using Beckley Coal CeCe Caldwell, when dry waxed with Annie Sloan Soft Wax onto a small bread board. Vintage Queen Anne c/s that DH bought for his Grandmother when he was six years old plus a blue and white plate with the new sign. 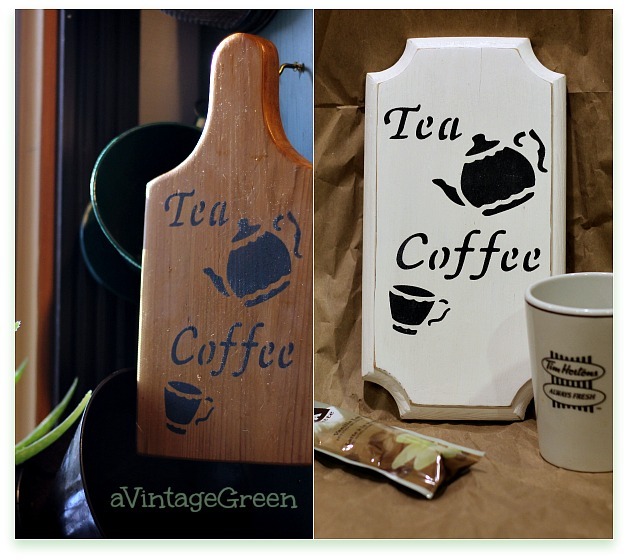 A few days after stencilling the bread board I stencilled the same sign on another one of the small boards I picked up a year ago. I added the zigzag hook on the back (3 tries to get it balanced) before painting. Its the measure twice and add hook once rule broken. I measured, added, removed, measured, added, removed and FINALLY measured again and added the hook and it was finally balanced. Those little nails like to spring away from the hammer. 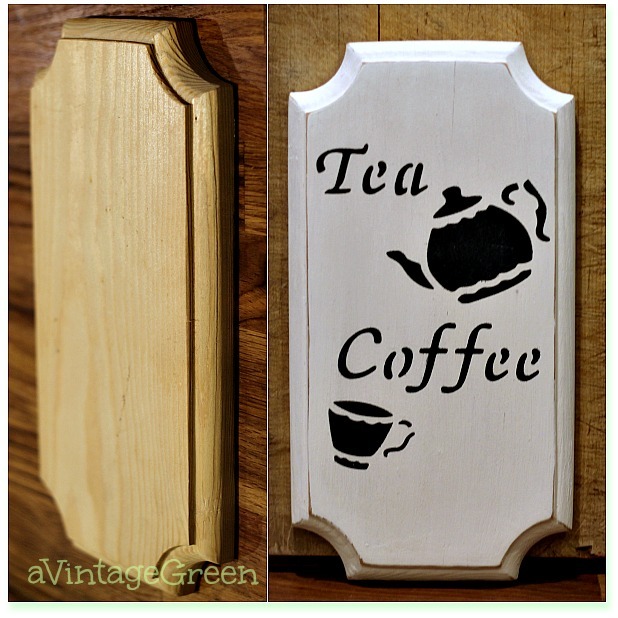 Painted 2 coats of CeCe Simply White and after drying time sanded the edges and then stencilled Tea and Coffee using Beckley Coal CeCe Caldwell and a small stencil brush. Masked the areas not needed. 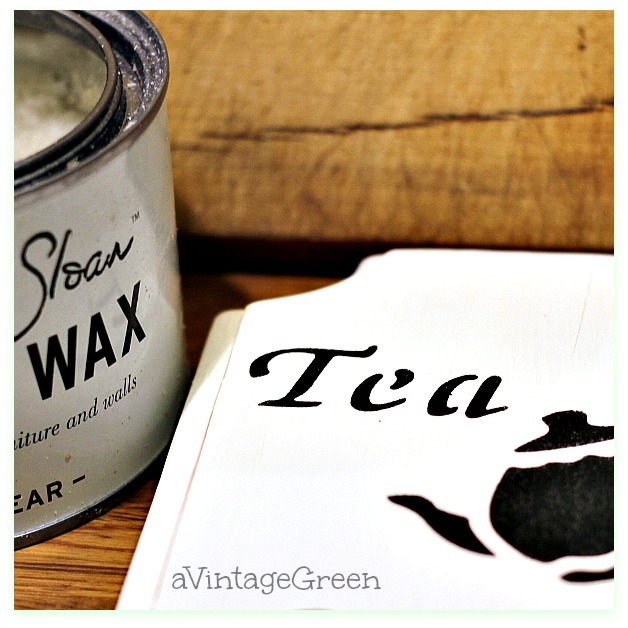 When very dry waxed with Annie Sloan Soft Wax with round bristle brush. Sanded the edges a bit more. Latte Instant is the coffee treat. How cute! I'll have coffee please. You are really getting creative with your stencils. The one on the white board really shows up nicely. 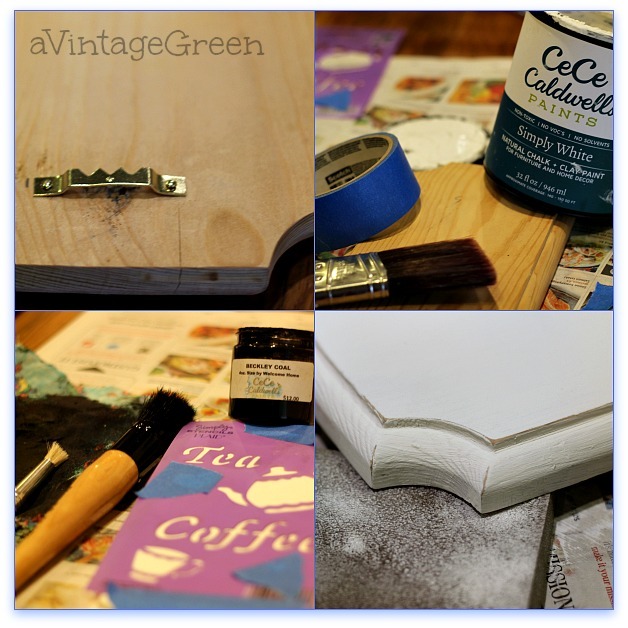 I am going to try some stencilling for a Christmas gift,,,hope it turns out as good as yours!! Stopping in from Amaze me Monday! You really impress me! You work is so precise. Thanks for playing today. Joy, I really like the white one. Sylvia D.
Clever idea! Happy Blue Monday! Love it. Thanks for sharing the tutorial. So cute! I love it, you have the best idea's. You make the best signs, and here I am not having made one! It was a clever idea! 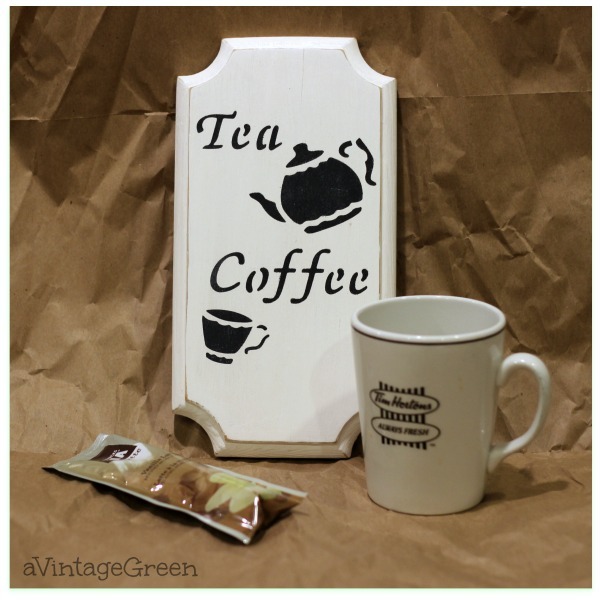 I love everything about coffee! Love your sign. Thanks for sharing with us at VIP. 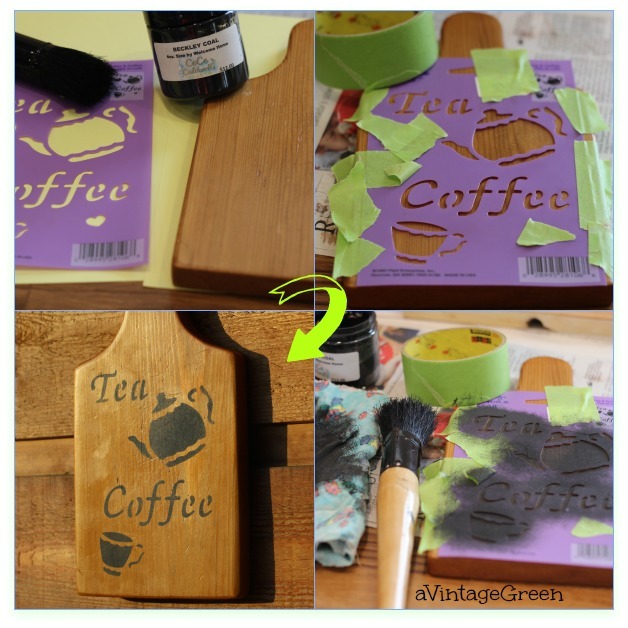 Joy, you are the queen of clever stenciling! 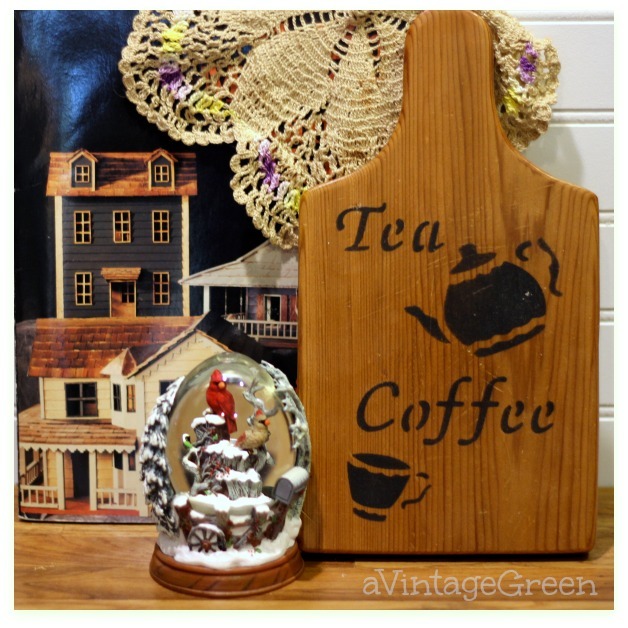 Thank you for sharing your fun creation @ A Very Thrifty Christmas! 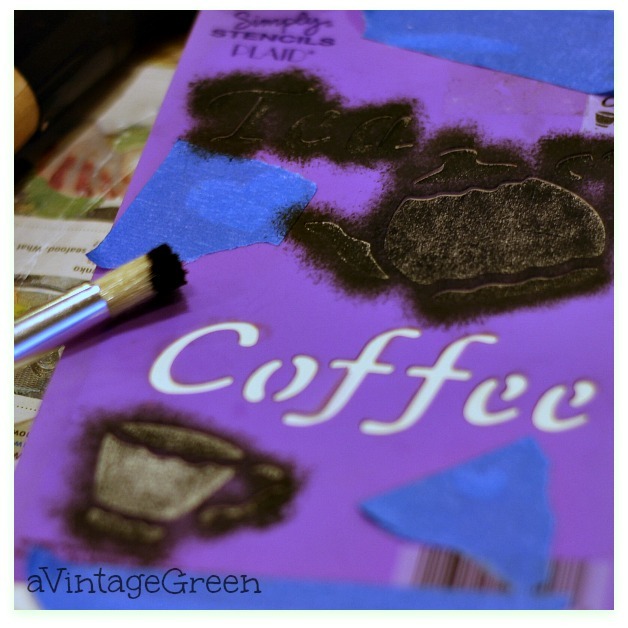 I love how easy stencils make it to create a fun, custom look! Thanks for linking up with The Alder Collective! Your post has been pinned to our group party board. We hope you'll join us again Tuesday at 8 pm EST!